This year I’ve been one lucky mother. I’ve had no less than 3, yes THREE Mother’s Days! On the UK one, nothing much happened, other than seeing my Facebook flooded with cheesy quotes – standard; on the Portuguese one I got a lovely card, and C had the initiative to pick up some flowers for me at the supermarket (no, it doesn’t matter that it was the carnation on a can of blooming condensed milk, which went back on the shelf, it counts!). Then on the American one I gave Rob such a guilt trip over his previous failures to celebrate my prowess as a mother that he agreed to take us to lunch at the much-talked about Newburyport restaurant ‘Brine’. 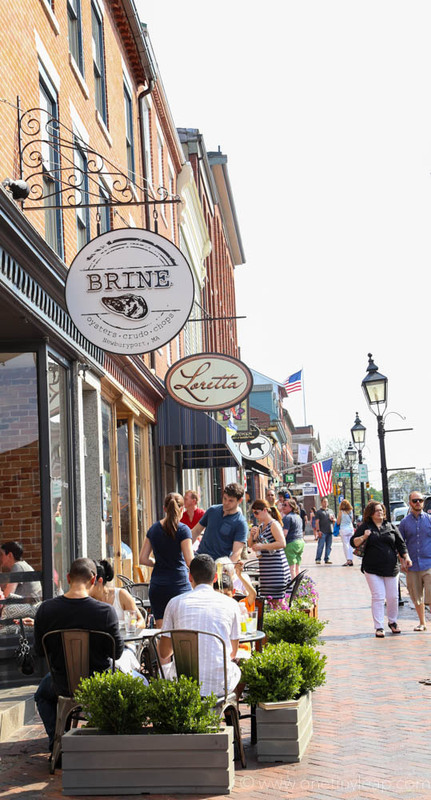 Newburyport is a pretty town located about an hour north of Boston, teeming with exciting restaurants and a vibrant café and boutique scene. New England has one of the most hyped food scenes in the country, which is no surprise considering the wealth of fresh, delicious seafood and other produce you can get in this part of the country. Brine is New England’s first Oyster, Crudo and Chop bar, and if you haven’t got a large budget, you can book yourself a table for Monday’s Test Kitchen, when for only $30pp you can taste the chefs’ work in progress. On arrival, we were fairly certain that we wouldn’t get a table as it was a fabulous day outside, and also because it was of course Mother’s Day. But we got lucky, and the hostess politely warned us that as we hadn’t booked, we had precisely 50 minutes to sit down, order, eat, and hit the road. We weren’t phased, and flipped open the menus straight away. As expected, the dishes on offer were both exciting and mouthwatering, and I only wish our budget had been larger, as some of the food going past us definitely looked like it belonged in front of me! The restaurant’s ambience was great, so busy and vibrant and despite our time constraint, it didn’t feel like we were being rushed. After tasting the gorgeous home-made foccaccia and butter served in an oyster shell, I had the shrimp & grits for my main, C had an asparagus, melon and lobster soup (he’s quite the gourmet nowadays, though he barely touched it as it was cold!) and Rob, maybe evincing some nostalgia for the UK, had the fish and chips. 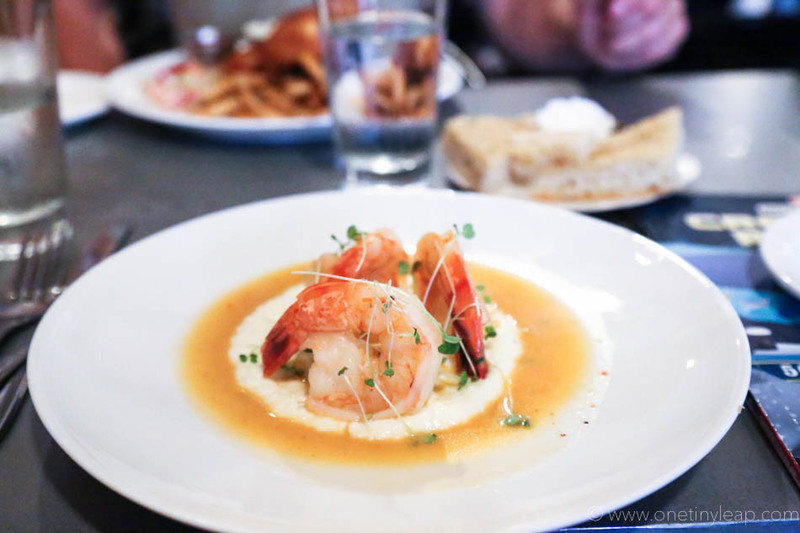 The Shrimp & Grits was the best dish I’ve had so far in the States. Perfectly seasoned seafood, with undertones of the ocean, and light grits, not overwhelming the plate, but complementing it perfectly. When it arrived I was slightly worried it may not be enough, but it was plenty. C’s soup was bursting with flavour, and you could definitely get a subtle, yet lingering, sensation of lobster coming through. We did feel it was a tad heavy, and would probably work better served in a smaller bowl. 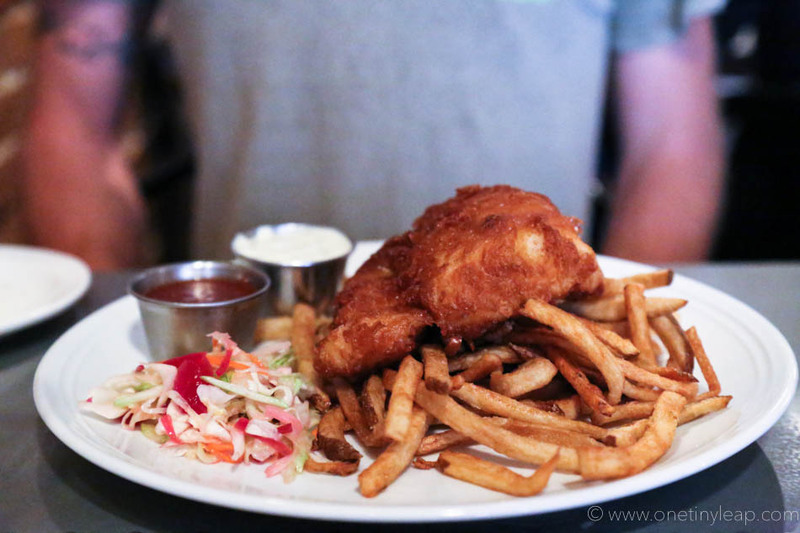 The Fish & Chips were of course fantastic, the super-fresh fish was cooked to perfection and the chips were crispy, salty and flavourful. I only had my big camera with me, which is a little conspicuous and means I didn’t take many pictures as it makes Rob blush and eyeroll. 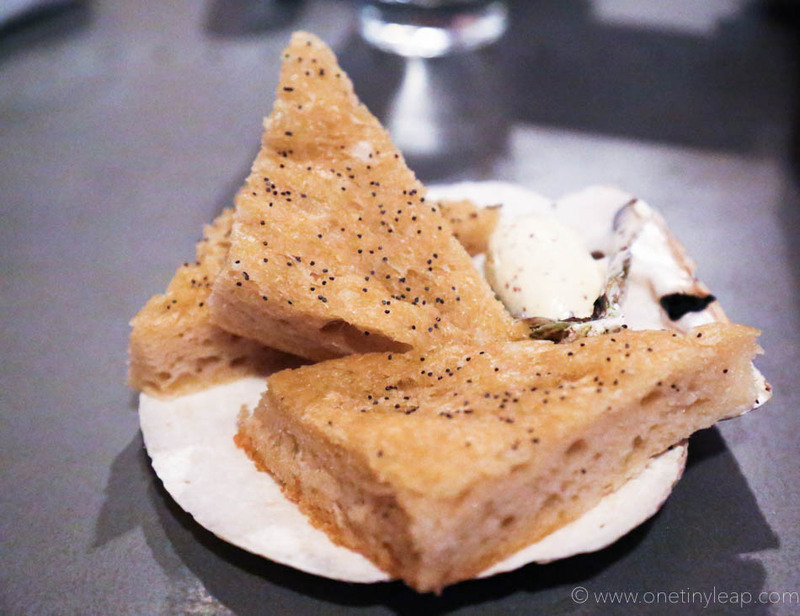 But for mouthwatering photos of Brine’s genius cuisine, pop over to their Instagram.